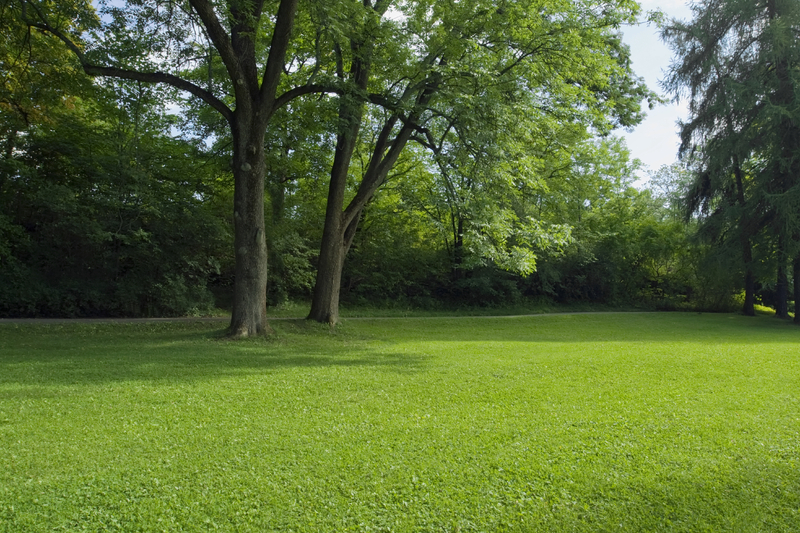 Growing grass in the shade is one of the most common lawn problems. Trim the trees. Remove branches up to 8 feet above the ground to allow more sunlight through. Transition: SS1002, a blend of tall fescues that rate highest in the NTEP tall fescue shade trial in Carbondale, IN. Raise your mowing height 1 inch higher than the rest of your lawn. Greater leaf surface increases the ability of the plant to capture and use sunlight. Water deeply during dry periods. Tree roots compete for moisture, causing drought stress in the shade, sometimes before it shows up in sunny areas. Reduce nitrogen level by 1 lb/1000 sq. ft. per year compared to rates used in the sun. Apply fertilizer at the same time on the entire lawn, just reduce the rate in the shade. Lower fertilization rates promote root growth at the expense of soft, succulent shoot tissue which is more susceptible to turf diseases found in cool damp shade. Limit traffic to reduce stress in the shade. Where possible, redirect traffic to the sunny areas of your lawn. Plant new seed as early as possible in the fall to allow time for grass plants to mature before tree leaves fall. Remove leaves by gently raking to avoid turf damage. If you cannot seed in the early fall, wait till spring. For a poorly drained shady site, improve drainage where possible. If it is not practical to remove excess water, plant a grass seed mixture of 70% Poa trivialis (rough stalk bluegrass) and shade tolerant bluegrass in the northern climate. If you follow all these steps and, after a full growing season, your lawn is not satisfactory, there is probably too little sunlight to support turfgrass. You may want to consider alternative landscape strategies, such as tree removal, planting ground cover, or installing permanent decorative mulch.